All of our carabiner or karabiners are supplied from leading manufactures who produce metal loop's with a spring-loaded gate, which are used to quickly and reversibly connect components, most notably in safety-critical systems. There are various types available with locking gate options for that added piece of mind. One of the most popular no frills steel Karabiner. 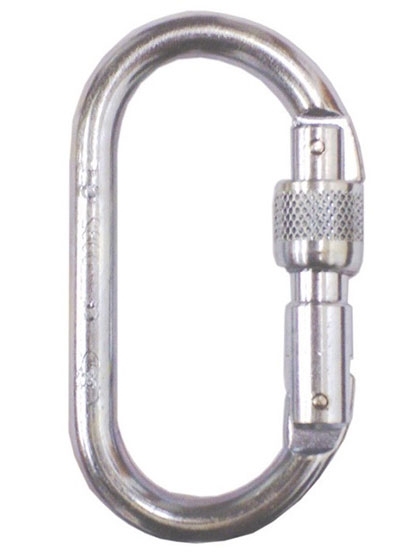 This oval connector allows it to be used with the full range of pulleys, as well as all the other standard uses for a Karabiner. Steel Karabiners are an economical choice proven for their strength, reliability and closure systems under intensive use.